What are structured data & schema.org? How to optimize structured data? 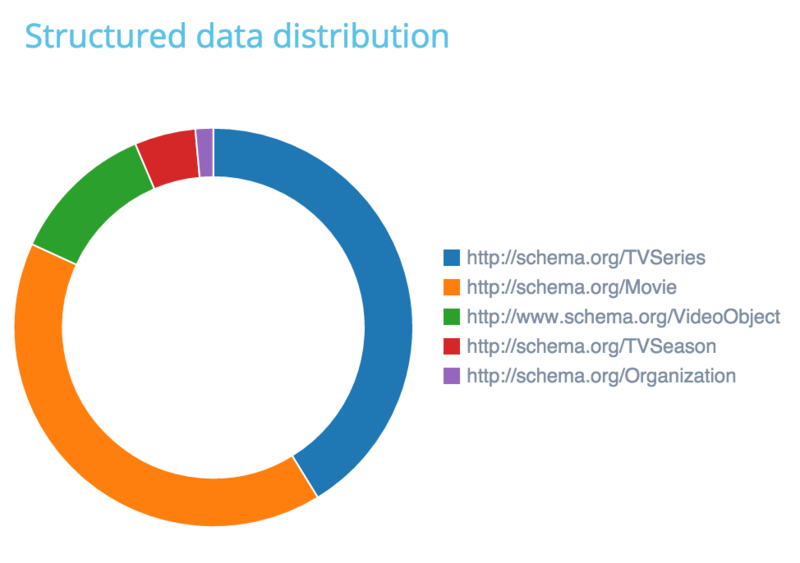 Structured data and the Schema.org initiative rely on “promoting schemas for structured data on the Internet, on web pages, in email messages, and beyond“. Schema.org helps search engines to display more informative results in SERPs and improve user’s experience. While there is no direct correlation between those data and a SEO improvement, schema.org can really help you boost your visibility in SERPs. Those codings help search engines to understand what your content is about. If you deal with organisations’ reviews for instance, you could get a nice rich snippet in SERPs using the Ratings or Organisation markup. Those codes can thus improve your click-through rate. At OnCrawl, we want to help you improve your rankings by giving you all the keys. That’s why we have integrated a structured data analysis. 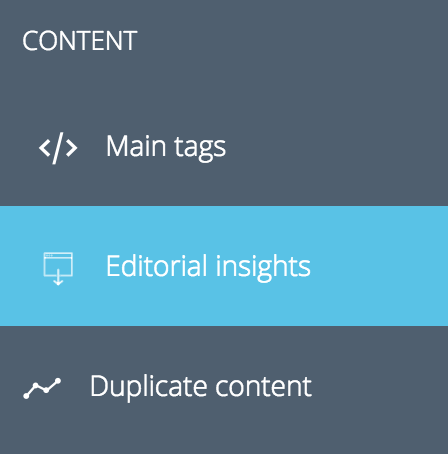 On your ‘Content tab’, go to ‘Editorial insights’. You can now see your structured data distribution. This website deals with a lot of content related to movies or TV shows. 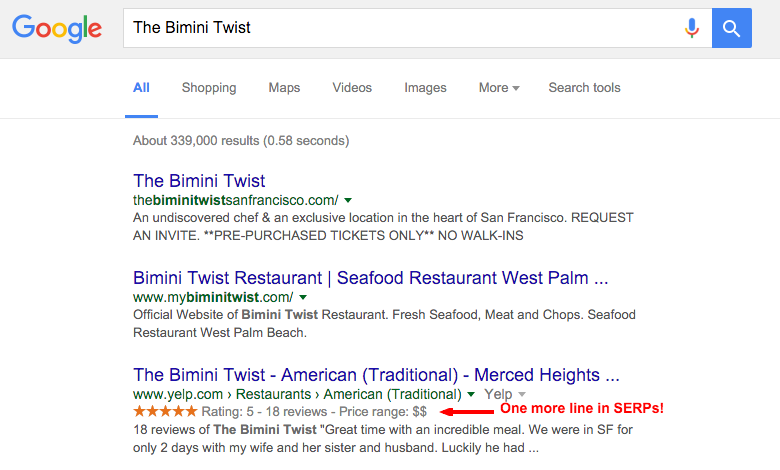 That’s why this website has integrated those specific structured data. Then, on your structured data insight, you can easily see your number of pages containing structured data and the ones without. If you click on a specific number, you will access the concerned URLs. Here is your distribution of pages with structured data by page depth. Those insights can help you understand if you should improve your structured data repartition by page priority. And then, each category has subcategories. Each type of information has properties that can be use to describe items in more detail. For instance, a “book,” which falls under the category “creative work,” can have the properties “name” (title), “author,” “illustrator,” “isbn,” etc, depending on how you want to describe it. And for example, an “event” can be classified as anything from a “businessevent” to a “theaterevent.” Here is the list of all the markups you can add.